Vehicles driven by motorists suspected of Los Angeles DUI often end up in unseemly places — smashed against light posts or walls or discarded, broken in the wrong traffic lane. But such drivers sometimes come to a halt only when they run up against something much bigger… like the side of a house! Let’s take a look at recent examples. In the Chicago suburb of Arlington Heights, a 21-year-old woman hit a home on Hintz Road around 3:30 in the morning of Saturday, October 10th. Police officers, who charged the driver with DUI, said the accident caused significant damage to the home. They even had to call in building inspectors to determine whether or not the house would collapse when the vehicle was removed. Fortunately, the car/home collision didn’t harm the three people in the building. The driver suffered only minor injuries. A 20-year-old in Douglas County, Colorado, meanwhile, had allegedly been racing on his street, when he hit a pine tree and flew into the home of a neighbor. Gunner Bolstad had been carrying two passengers, when his car crashed through the bedroom window of 70-year-old Cliff Turner. The grandfather, thrown from his bed, suffered only slight injuries. His visiting 13-year-old grandson, also sleeping in the room, wasn’t hurt but did get a fright when the crash impact launched his bed across the room. Police arrested Bolstad on charges of DUI, reckless driving, careless driving resulting in injury, four counts of reckless endangerment and third-degree assault. Lastly, Jason Crooks didn’t actually hit a home in Moorhead, North Dakota, but he allegedly caused an accident that resulted in a vehicle/house collision. Crooks, later charged with DUI, had reportedly been speeding when he hit another car making a U-turn. 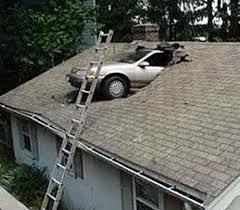 That driver got out of her car but forgot to put it in park; it continued to move until it hit the home and its gas meter. No one was hurt, but the utility company had to rush to the scene to repair the gas leak. If police stopped you for Los Angeles DUI, you may be worried and anxious. Contact Harvard Law School educated, ex-prosecutor Michael Kraut for assistance at (323) 464-6453 or online. Our team is located at 6255 Sunset Boulevard, Suite 1480, Los Angeles, California 90028.